Richard Gutierrez was the first employee of Basel Action Network and began his work with us in 2001. He was born in the Philippines where he studied and then practiced law. His desire to use his life to support human rights and the earth brought him from corporate law to the NGO world starting with BAN. In 2006, he struck out to take his advocacy skills back to the Philippines where he founded Ban Toxics! a sister organization to BAN focused on Asian pollution issues with a particular emphasis on harmful trade agreements, electronic waste, and the unsustainable use of mercury in artisanal gold mining. BAN Toxics is currently a thriving organization with pilot projects and advocacies from child labor in small-scale gold mining to sound chemicals management across South-East Asia and beyond. Richard is currently CEO of BAN Toxics, and the Indonesia Project Manager of the Artisanal Gold Council. Wendy is the Chairman and CEO of Hugo Neu Corporation, a privately-owned company that builds, operates, and invests in innovative recycling, energy, real estate, and other clean-tech ventures. She is Chairman of Hugo Neu Recycling, a company that specializes in the recovery, management, and environmentally responsible recycling of end-of-life electronics and other universal waste. She was also a recycling industry representative on the EPEAT Board of Advisors. Shawn is the Data Integration Solutions Architect and Senior Applications Systems Engineer at University of Washington. He has worked in Advancement at University of Washington for the past 20 years, where he leads information management in the development and alumni relations departments to establish better data processes to help increase engagement among constituents. He led the University’s conversion to the Advance® software to more closely reflects gift officer and researcher needs and workflows. Under his leadership, his team created the Advance® training curriculum and launched a training series to highlight best practices so groups can use data analytics to improve their fundraising. Jim, Executive Director and Founder of Basel Action Network, has been an environmental health and justice advocate for 28 years. He has served as Greenpeace International’s Toxics Director based in Amsterdam, Netherlands, where his campaign was instrumental in achieving the Ban Amendment to the UN Basel Convention as well as numerous regional waste trade bans. 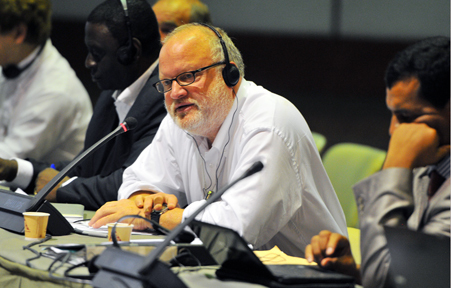 He has represented civil society within the Basel Convention since its inception in 1989. Campaigning against all forms of toxic trade, he has traveled extensively researching, writing, and producing films.